It is not uncommon, after a relationship breaks down, for one party to want to relocate to another city or state with the children, at the objection of the other party. Often, the decision will be made unilaterally by one parent without consultation or agreement with the other and it is then left to the Court to decide where and with whom the child should live pending a final hearing. 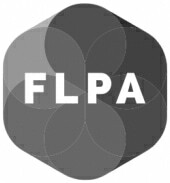 The courts are generally disapproving of a parent unilaterally relocating a child far away from the other parent concerned, unless the relocation can be justified by the existence of some form of emergency or threat to the child or the parent. 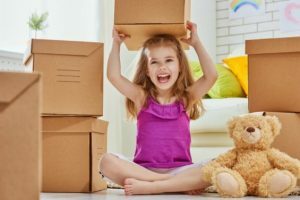 Interim hearings (as opposed to final hearings) are not designed to determine long term arrangements for children, but the outcome of an interim hearing in a case involving relocation can have significant consequences for the outcome of the case. In two recent cases, the Court took a very different approach in each case to the issue of interim relocation. The first case involved a young child, 2 ½ years of age. Immediately following separation, the mother moved with the child from Adelaide to Perth. It was the mother’s case that the father was aware of the move and did not object. The father stated that he agreed to the mother going to Perth for a definite period of time and then returning with the child. In that case, the mother made allegations of serious family violence, including regular physical violence, and further alleged that the father had serious drug and alcohol issues. It was her case that the father was a neglectful parent, not only of the child of that relationship but of his three other children from previous relationships, and that she moved to get away from him and seek the emotional and financial support of her family in Perth. The father alleged that he was the primary carer of the child during the relationship and that the mother had been the violent aggressor in the relationship. Importantly, the mother stated that she would not return to Adelaide regardless of whether the Court made an order for the child to return. For a contrasting case see our previous article “Relocation – Beware the veiled threat”. The court ultimately found that it would be “imprudent and contrary to the child’s best wishes for the court to test the mother’s resolve in her unwillingness to return to Adelaide” and further, that removal of the child from the mother’s care would have significant psychological implications for the child. The second case involved a child of 11 yrs of age. Several months after separation, the mother relocated from Adelaide to Darwin with the child, without the father’s consent. The mother alleged that the father had issues with alcohol, violence and a serious psychological condition. Those allegations were denied by the father who stated that he had a very close and loving relationship with his daughter and sought orders that she immediately be returned to Adelaide to live with him. The court found that the mother’s move to Darwin, several months after separation, was not motivated by an immediate threat posed by the father and was a considered decision. The court went on to say that the reasons justifying a unilateral relocation should be apparent at the time, it is not appropriate for the court to allow latitude to a parent to gather evidence retrospectively to justify their unilateral decision. 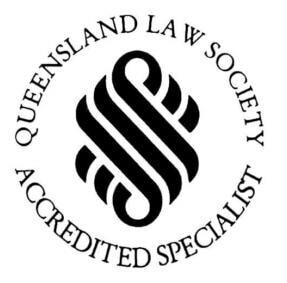 If you are separated and experiencing difficulties with your children’s arrangements or you are wanting to relocate, call us now on 3221 4300 to make a fixed-cost 1 hour initial appointment to see one of our family law specialists.